Lovers of understated boots rejoice! Nike have brought the grey Elite pack to the World and it's perhaps one of the best yet! Ready in time for the new season, Nike Football have brought us the "Elite Pack", a full pack of colourways for their very latest boots, the Superfly V, Magista II, Hypervenom II and Tiempo VI. Wonder how many players will be rocking these in time for the kick off of the Premier League? 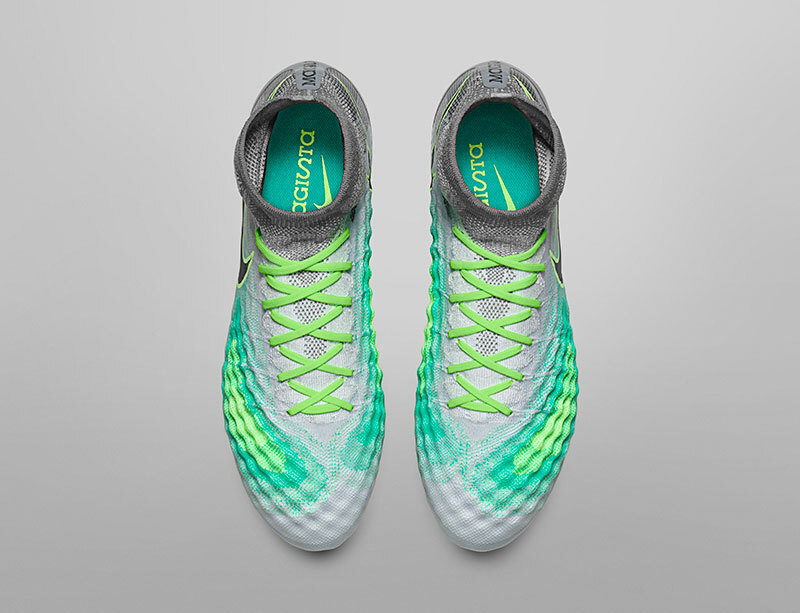 Each boot has a grey base with accents of sea foam green, volt, and hints of teal. Where would we be in this world without Volt? The colour that seems to find its way onto every Nike boot, trainer and top, but we love you really Volt. You have a little while to wait as the Elite Pack will be available on the 16th August. First up, the latest release and it seems the stormy weather has gone for now, or at least that's what the Met Office radar leads us to believe. 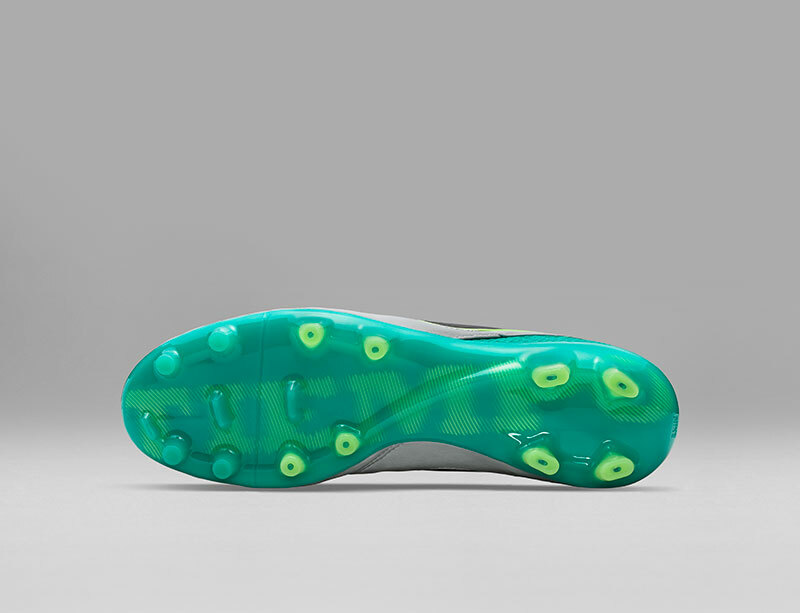 The new Magista II get's a new coat of paint unveiled before the launch of the first colour (due 26th July). 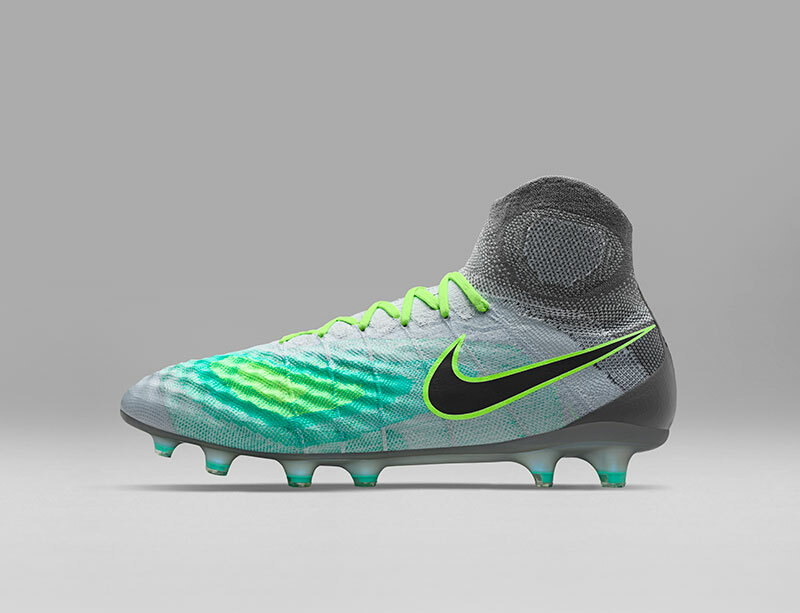 This more subtle colourway may be easier for boot lovers to stomach and it does make the Magista a far more appealing boot. With only the sprinkling of colour added, the sea foam green and volt combo add just the right amount of jazz to this boot. 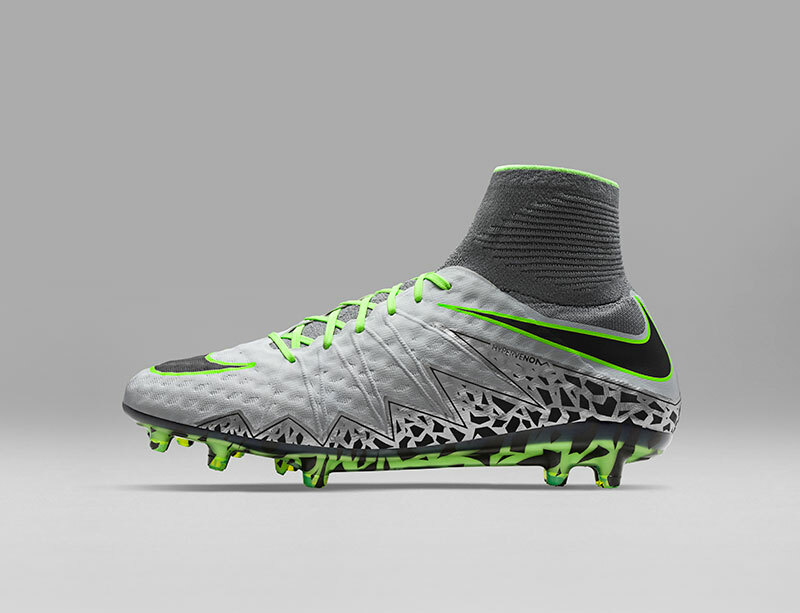 The best of the two Magista Colourways. Not the worst view in the world to see when you look down. 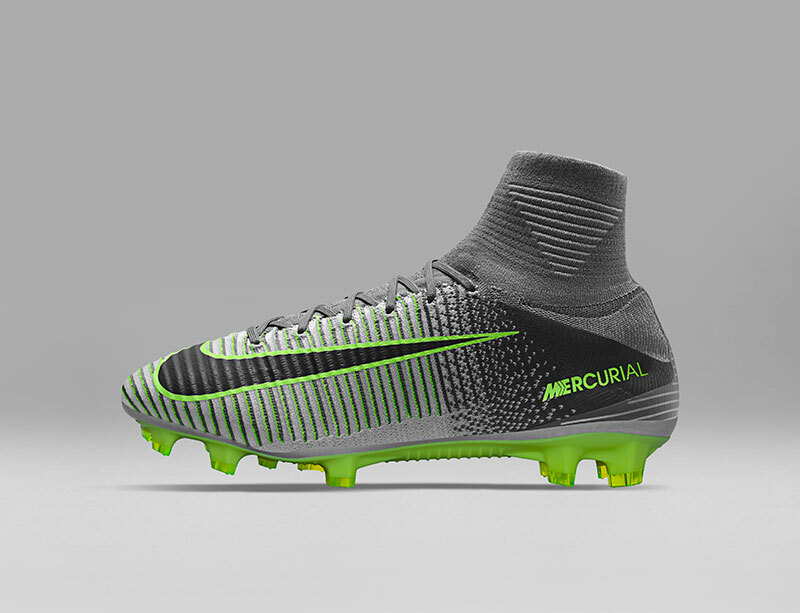 This is the third colourway of the newly launched Mercurial Superfly V and the first that wasn't based on a black collar. 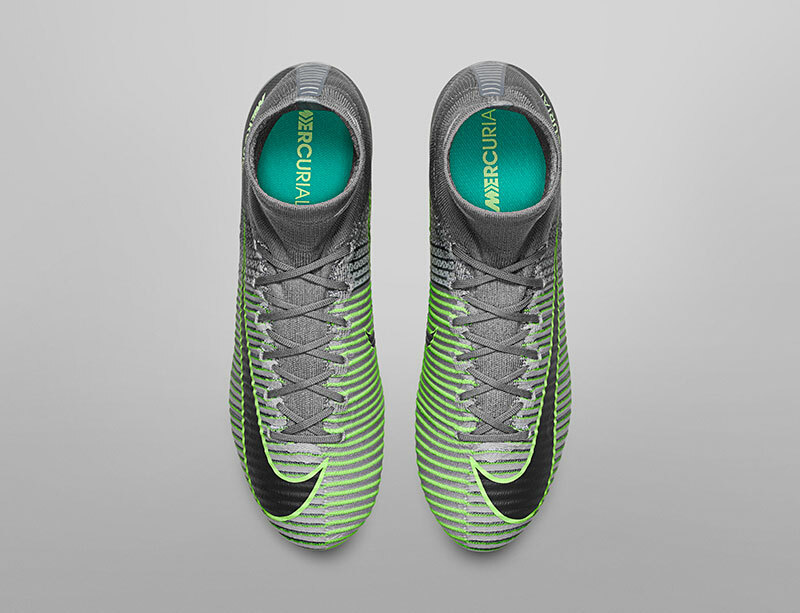 The Grey upper and sock work very well together here, the addition of the numerous versions of green to the upper and soleplate give the Mercurial just enough colour to still be considered by the mass market. Overall we are liking this colourway on the Mercurial and hope to see that the Vapor version looks just as good! The split design in the upper works tremendously well with the Volt. Silent but deadly, you don't have to be flashy to show off your speed. 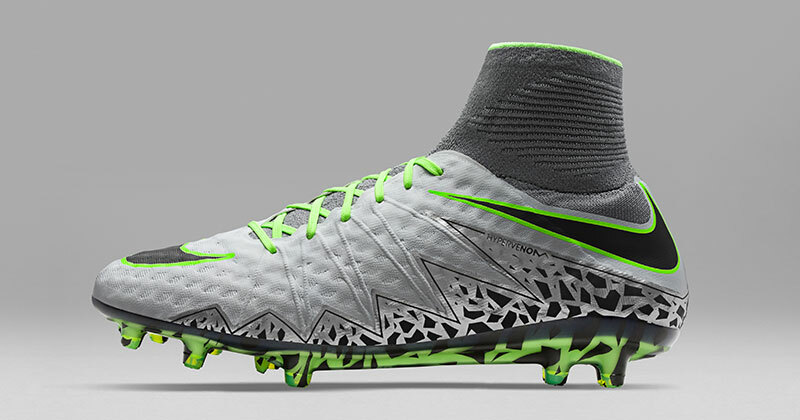 The Hypervenom II. After Nike admitted their experiment with the upper did not work, we see the second colour of this boot with the original NikeSKIN upper. 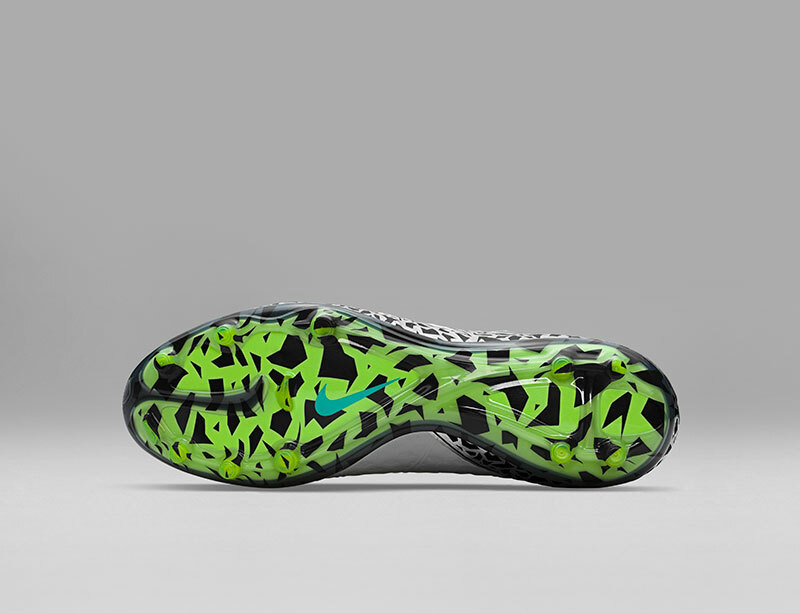 The best part of the Hypervenom is the soleplate, the broken pattern with juxtaposing colours of black and green show off enough without going over the top. The upper itself looks fresh and we can't wait to get our hands on these to see just how much of an improvement they are! Almost giving a vibe of sweatpants but pulling it off, unlike many people who try. One of the best looking soleplates around. Now it seems that the Tiempo has just moved the colours of the last colourway around, Green ("Clear Jade" according to Nike) is demoted to the soleplate and heel, the volt is kept as an accenting colour and grey comes in to the main upper. 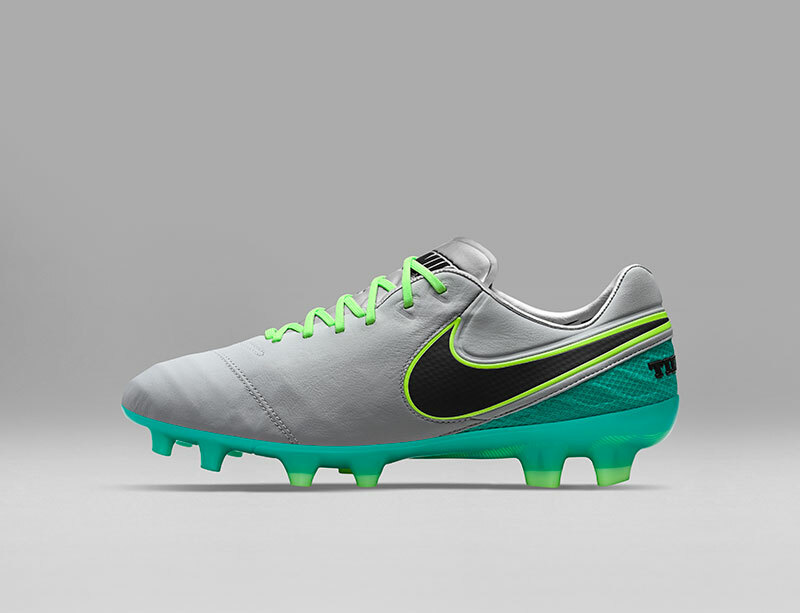 Most Tiempo wearing players aren't flashy players and will probably be very happy with this more understated colour. Grey, leather and subtle. Good work by Nike. Into the top 3 Tiempo Colourways for us! Overall this is a well executed pack from Nike, and we are quite happy that the colour has been kept throughout the boot range rather than a random assortment which seems to be the norm these days. What do you think of the new Elite Pack? Let us know in the comments! Make sure you follow us on Facebook, Twitter, Instagram and YouTube!